A Flying Sausage: New to the Jacksonville food scene, this truck has taken off! They’re known for serving breakfast around Jacksonville, but for lunch and dinner, their lamb gyro with lamb sausage, lettuce, tomatoes, and tzatziki is a winning choice for sure. They’re also serving up some pretty stellar tacos that will make anyone happy. Blue Pacific Tacos: Award winning tacos including the unique ribeye bulgogi tacos, sriracha beef, and Malaysian satay. Blue Pacific’s bold flavors can’t be found elsewhere! The owner Izzy has travelled the world to hone his culinary skills and brings globe trippin’ flavors to Jacksonville. Jalapeño Truck: Are you a member yet of the Machete Club? Jalapeño Truck serves up larger than life portions of delicious Mexican street food. They’ve developed quite a loyal following over their years in Jacksonville and now have people drive across down simply for their Machete! Think oversized quesadilla married a crispy taco and the result was stuffed with meat, cheese, tomatoes, lettuce, and onion. They’re delicious. Go fall in love. Fusion Food Truck: Chef Ashley Amin (winner of top Indian chef in San Diego) brings the best Indian cuisine in Jacksonville. We highly recommend their award winning banana curry and tikka masala paired with a decadent Thai tea. If sambosas are on the dessert menu, you’ll definitely want to have one or ten! Really, we love everything on Fusion’s menu, so order liberally. Front Porch Kettle Corn: Start your food truck rally adventure here for an appetizer! Fresh made sweet and savory popcorn, mouth watering spicy pork rinds, and southern sweet tea. Take home a few containers to snack on later – you will thank us! The Cupcake Truck: This sweet truck offers a twist on the cupcake in the paper liner and created the “CAKE IN A CUP” literally. Not only do you get two layers of moist, delicious cake and frosting but you get to choose which flavors go into that cup. These treats are beautifully customizable and delicious too! Join the CUPcake revolution! 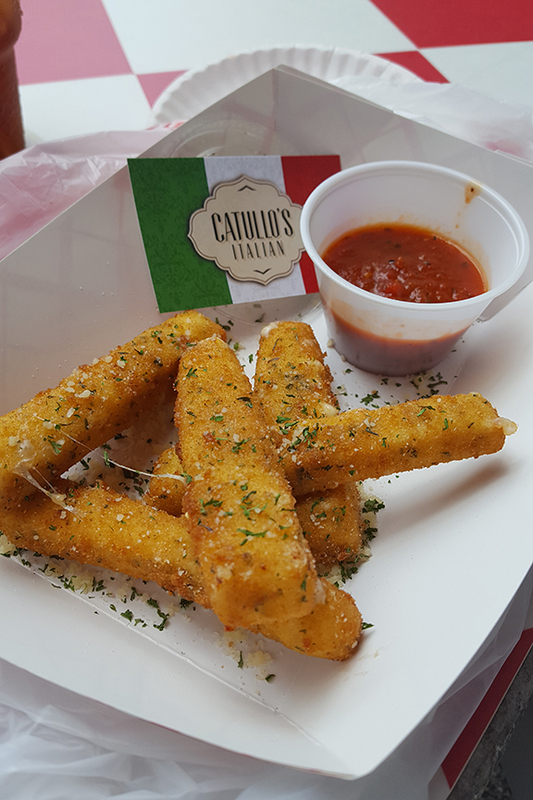 Catullo’s Italian: Where we do we start with Catullo’s? Handmade daily pastas, thin crust pizzas, and specialty ‘sangwiches’ make this the best Italian food in Jax. Each scratch made sauce that is paired with their tender pastas is packed full of flavor and fresh ingredients to make for one romantic food experience. This truck will sweep you away to Italy and you’re never going to want to come back, trust me. Tikiz: If you’re looking for a refreshing treat, Tikiz shaved ices are where it’s at! Creatively served inside the fruit (pineapple is served in a pineapple, lemon is served inside a lemon! ), these sorbets are the lightest and creamiest around. The best part is you can dispense your own, so get as little or as much as you’d like! Mama’s Food: Quesadillas, hot sandwiches, rice bowls, and homemade empanadas just like mama used to make. The steak sandwich is a staple item that you really can’t go wrong with. We also love their chicken quesadillas. This truck is a veteran of the road and are clearly around to stay! Mother Truckin’ Pizza: This Jax favorite serves jumbo pizza slices with fresh toppings and tons of melt in your mouth cheese. They also offer oven fired subs, soft pretzels, and delicious cheesy bread. Their deluxe slice and Italian sausage sub can’t be beat! Want a treat? Try their toasted ravioli! 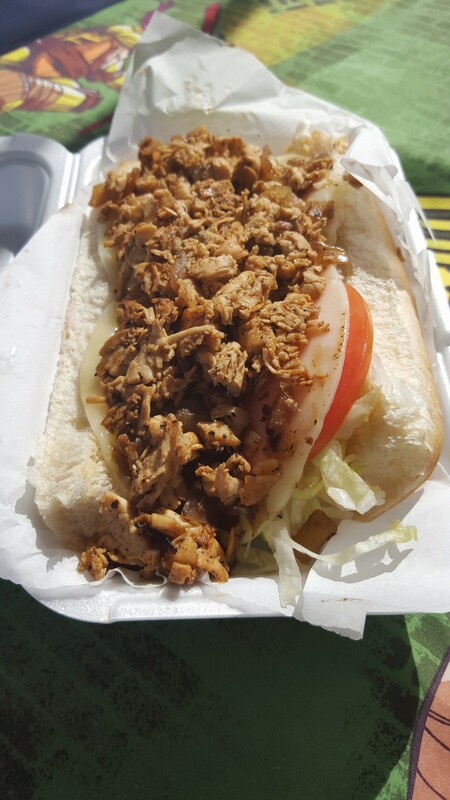 Son of a Butcher: Jacksonville’s best authentic philly, and we really can’t disagree. Son of a Butcher prepares fresh sandwiches, poboys, tacos, and more absolutely loaded with meats and cheeses. Looking for a hearty meal? This is your choice! We cannot get enough of their garlic parm fries. Go ahead and get two orders, you’ll thank us. The Salty Dog: Here is your taste of Americana, everyone! The Salty Dog focuses on giant beef hot dogs and burgers. There is also a bacon wrapped deep fried hot dog, so take a breath and prepare yourself for that. Menu items are served with their delicious and popular waffle fries which are available topped with hearty, cheesy chili. Blazin Azn: Bacon fried rice is all we really need to say, but there is SO much more to love at Blazin Azn. Spring rolls, egg rolls, incredibly tender teriyaki shrimp and chicken, and pork belly steamed buns all are worth ordering. 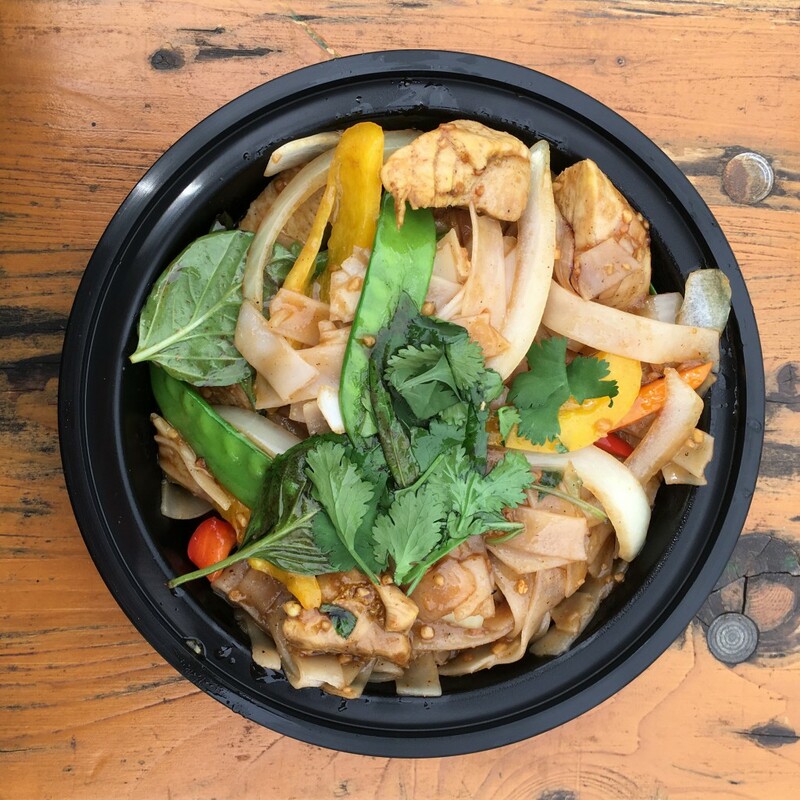 There’s a fusion of flavors at Blazin Azn so we have faith there is something that everyone will enjoy! Cold Calf Creamery: Cold Calf has been named best ice cream in St Augustine for 5 years running. Evidenced by their huge flavor variety and massive portions, we understand why! Plus it’s 1000 degrees outside so who wouldn’t want to have a creamy, decadent sweet treat as a dessert? An owner and crowd favorite flavor is Cookie Monster : vanilla ice cream with cookie dough and cookies and cream! 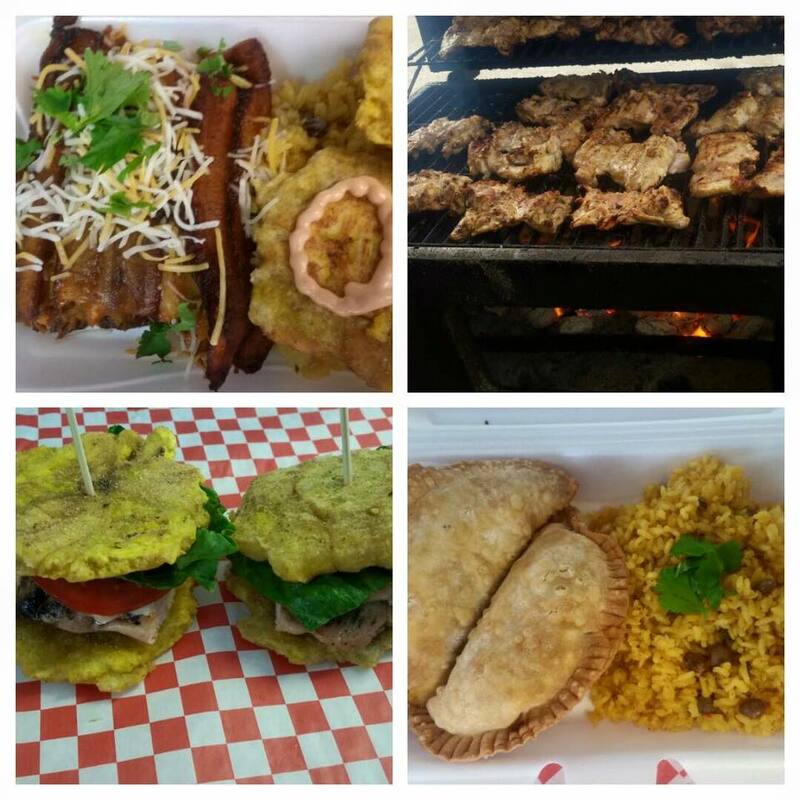 Latin Soul Grille: This truck’s fusion of Latin, Caribbean, Spanish, and BBQ makes for an irresistible menu. Their tender, flavorful chicken thigh tacos and delicious wings are addictions of ours. Their speciality empanadas are made with just as much care! Plus, we think their customer service is some of the best in town. It’s hard not to fall in love with Latin Soul. Sweeto Burrito: It’s easy to see why Sweeto has so many dedicated followers – their burritos are some of the best in town! Be prepared to share, these are HUGE! The White Chick, Buff Chick, and Rise and Shiner are our personal recommendations! Up In Smoke: Finally, the triumphant return of Up in Smoke to Jacksonville! Also yes, they still have those amazing fries loaded with pork, nacho cheese, and mac and cheese just in case you were wondering. Up in Smoke went wanderlusting around the country for awhile and we are so thankful to have the Jax favorites back! Look for them to be around more often with their new expanded fleet of trucks. Want to stay apprised on all your favorite food trucks? Follow our sister brand @findjaxfoodtrucks on Instagram for daily locations, events, and the best new trucks! Tagged Event, Food Truck Rally, food trucks. Bookmark the permalink.